Billionaire investors love fighting with each other over the markets, safely out of public view in sleek Greenwich or Manhattan offices. But a new political fight is pushing them into a high-profile debate over the future of energy consumption in the U.S. and they are literally taking to the streets of Washington to make their views heard. The brawl is over an upcoming decision by the Obama administration about whether energy company TransCanada should be allowed to build a massive oil pipeline, called Keystone XL, that will ship oil sands from Northern Canada to refineries in the Gulf of Mexico. The State Department -- in charge because the project would cross an international border -- is still studying the issue and its environmental impact. A decision could come next year. The two sides couldn't be more convinced of their positions. Former Vice President Al Gore recently called the controversial project an "atrocity." House Speaker John Boehner has said President Barack Obama should "stand up for middle-class jobs and energy security and approve the Keystone pipeline." Likewise, prominent investors have planted themselves on opposite sides of the issue. 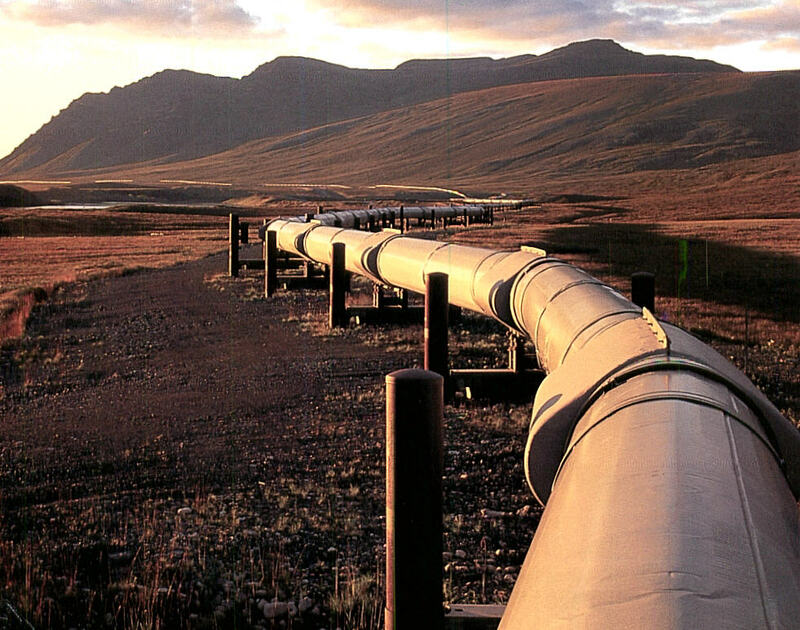 Two hedge fund managers are ardently and vocally against the pipeline. One is Jeremy Grantham, the relatively low-profile chairman of $108 billion money manager GMO. In February, he was nearly arrested at a White House protest organized by the Sierra Club, for whom he is a lead supporter. His daughter Isabel was among 48 people arrested for handcuffing themselves to the White House fence, according to media reports. A spokesman for Grantham declined to comment. The other anti-pipeline hedge funder is Tom Steyer, the billionaire founder of $18 billion Farallon Capital Management. Steyer retired last year to devote himself to political causes; Keystone has been his top priority. A prominent Democratic fundraiser and environmentalist, Steyer has personally lobbied President Obama and created and appeared in numerous anti-Keystone ads through his group Nextgen Climate Action. Like Grantham, he also protested in Washington at an anti-Keystone rally earlier this year. "Climate change is the defining issue of our generation. We have a choice between investing in dirty tar sands that will worsen our climate crisis or cleaner energy that reduces our dependence on foreign fuels, brings new jobs in growing industries and preserves the planet for future generations," Steyer told CNBC.com. T.Boone Pickens, chairman of energy hedge fund firm BP Capital, says Steyer and other supporters are misguided because Keystone would reduce American dependence on oil from unsavory regimes. "The Keystone pipeline, of course that's foreign also, but it's friendly foreign. The stuff coming out of the Mideast, I don't consider to be friendly," Pickens told CNBC.com. "So I'll take friendly every time over unfriendly. But I don't have to have any Army, Navy or Marines to protect the Keystone pipeline. So you've got to be a sap not to take that oil from them. They have as much oil in Northern Alberta as the Saudis have." Pickens dismissed environmental concerns from the pipeline itself: "It's not an environmental issue. There are pipelines all over the United States. They didn't want to cross Nebraska and there are 51 pipelines across Nebraska. So the pipeline can be laid out." "Let's be clear: The oil from the Keystone XL pipeline will go through the United States, not to the United States. This is an export pipeline that will mean cheaper oil for our foreign competitors," Steyer told CNBC.com when asked about Picken's comments. "Instead, we should be thinking differently about energy. By investing in clean energy, we can truly achieve energy independence, while creating jobs and addressing the climate crisis." Another apparent proponent is Stan Druckenmiller, the retired founder of vaunted hedge fund firm Duquesne Capital Management. Druckenmiller is listed as a "major contributor" to FWD.us, a political advocacy group that has run ads in support of the pipeline. FWD.us was founded by Facebook Chief Executive Mark Zuckerberg and also has support from top technology investors Mary Meeker of Kleiner Perkins Caufield & Byers; Keith Rabois of Khosla Ventures; Fred Wilson of Union Square Ventures and Flatiron Partners; and Joe Lonsdale of Formation 8. Some members, including Elon Musk of Telsa and David Sacks of Yammer, quit FWD.us over the Keystone ads. Druckenmiller's support for the pipeline could not be directly confirmed. A spokesman did not immediately respond to requests for comment. Environmental groups working against Keystone are happy to have some support from the investment community. "It's a good thing to have iconic investors like Grantham and Steyer making the case against this boondoggle," Jamie Henn, communications director at climate change advocacy group 350.org, said. "It's increasingly clear that tar sands aren't just disastrous for the climate, they're also a bad investment. There's no place for a pipeline like Keystone XL in a carbon constrained world." Steyer said his investment peers are finally engaging on the issue. "Climate change is the biggest risk facing the world economy today. Extreme weather cost the U.S. economy $100 billion last year, and we can't afford to make the problem worse. Investors are becoming more engaged on this issue," Steyer said. "[That's] why I have teamed with Mayor Bloomberg and Hank Paulson to quantify the risks our economy faces from unmitigated climate change." -By Follow CNBC's Lawrence Delevingne on Twitter @ldelevingne.